Want to Convert from Molywhite to Vigo? R.M. Hoffman's Grease Division is the first and only One-Stop-Grease-Shop for industrial robots and machine tools, committed to offering only 100% genuine factory-approved grease. These greases were specifically formulated and created for the unique gearboxes that are in virtually all industrial robots and machine tools. That's why they're the only greases approved by the manufacturers. The mechanical components in these robots and machine tools are highly specialized, with unique internal mechanisms and extreme tolerances. It's critical to their performance, and consequently the life of the equipment, to only use these factory authorized greases. Industrial robots work hard, sometimes running around-the-clock, seven days a week. You rely on your robot to get the job done and you can't afford a down line. That's why a proper preventative maintenance schedule for your robot is so critical. And, the most important part of that maintenance? Grease! If electronic controls are the brains, gearboxes are the heart. Industrial robots can have up to six gearboxes, the core of each axis. They're not only responsible for accurately executing each motion, they also bare the entirety of the forces and loads in the operation. To keep these gearboxes moving smoothly and operating with precision, re-greasing is a must. The regularity needed will vary depending on your robot make and model, duty cycle, and environment. Check with your user manual or robot manufacturer for details. Motion Solutions Grease Division (formerly R.M. 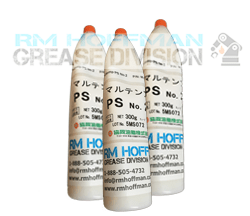 Hoffman Grease Division) is your One-Stop-Grease-Shop for industrial robots and machine tools, committed to offering only 100% genuine factory-approved grease. 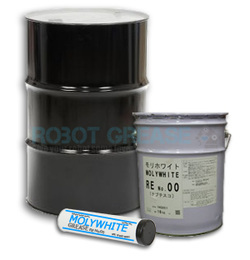 These greases were specifically formulated and created for the unique gearboxes that are in virtually all industrial robots and machine tools. That's why they're the only greases approved by the manufacturers. The mechanical components in these robots and machine tools are highly specialized, with unique internal mechanisms and extreme tolerances. It's critical to their performance, and consequently the life of the equipment, to only use these factory authorized greases. 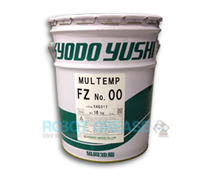 All Robot Grease & Oil is in stock with our lowest price guarantee and unbeatable customer service. 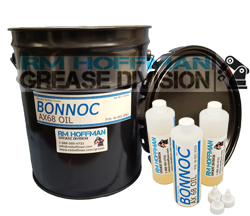 Popular products include: Vigo Grease, Moly White Grease, Harmonic Grease™, Alvania EP2, & Bonnoc AX68. Harmonic Grease™ is a trademark of Harmonic Drive LLC.